November 17, 2018, 12:00 P.M.
Open to the public. Admission is free, electronic reservations are required. Please do not attempt to RSVP via telephone or e-mail. 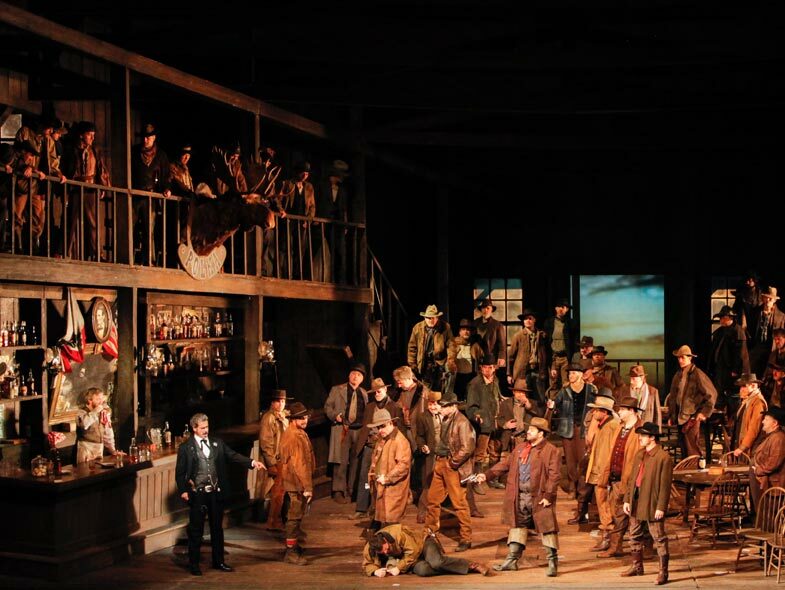 Soprano Eva-Maria Westbroek sings Puccini’s gun-slinging heroine in this romantic epic of the Wild West, with the heralded return of tenor Jonas Kaufmann in the role of the outlaw she loves. 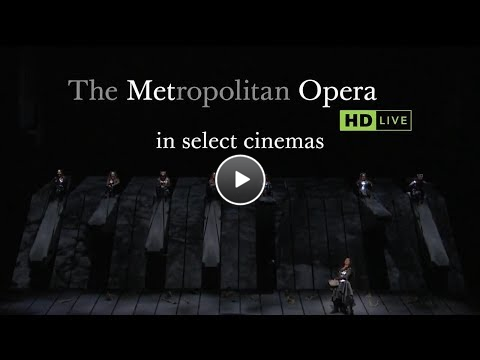 Tenor Yusif Eyvazov also sings some performances. 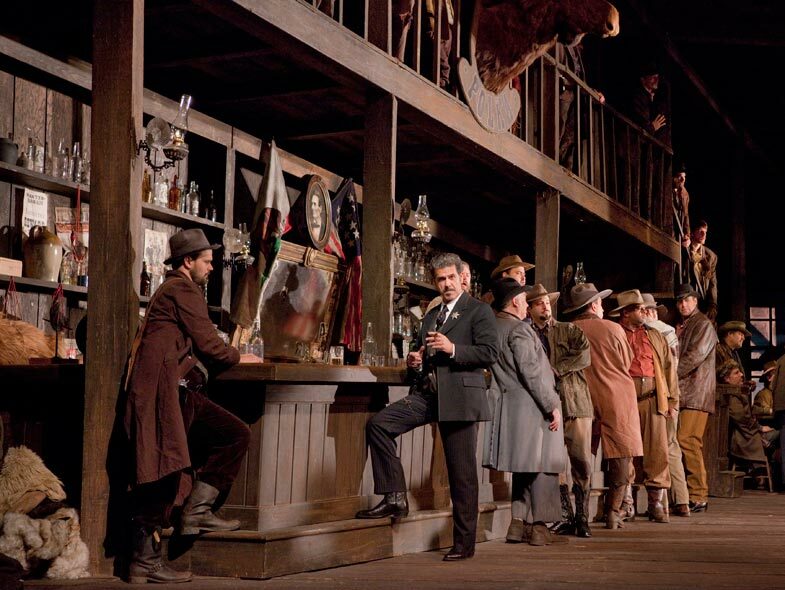 Baritone Željko Lucic is the vigilante sheriff Jack Rance, and Marco Armiliato conducts. Composed by Giacomo Puccini. Conducted by Marco Armiliato. Running time: 3 hours and 22 minutes. In Italian, with English subtitles. This screening is presented free of charge and are open to all. The theater will be OVERBOOKED to ensure capacity and the RSVP lists will be honored on a first-come, first-serve basis, with no reserved seating. Please bring a photo ID or print out of your reservation confirmation, which will be automatically sent to your e-mail account upon successfully making an RSVP through the website. Check-in will begin at approximately 11:30 A.M. The USC School of Cinematic Arts is located at 900 W. 34th St., Los Angeles, CA 90007. Parking passes may be purchased for $12.00 at the USC McClintock Gate, located at the intersection of W. Jefferson Blvd. & McClintock Ave. Once you have your pass, we recommend that you park in the USC Royal Street Structure, at the far end of 34th Street. FOOD AND DRINKS ARE STRICTLY PROHIBITED FROM THE AUDITORIUM. VIOLATORS WILL BE ASKED TO LEAVE THE PERFORMANCE. DOORS WILL CLOSE 15 MINUTES INTO THE PERFORMANCE. USC Visions and Voices: The Arts and Humanities Initiative, please visit their website.